Comments: All items ship Monday - Friday - Fast Shipping in a secure bubble mailer. Comments: Very Good Condition. Includes CD/DVD(s). Five star seller - Buy with confidence! Comments: Used books don't have access codes, ships from U.S.A. 2nd Edition DVD may have wear and/or considerable writing, ships fast!! !, choose expedited for quicker shipping. 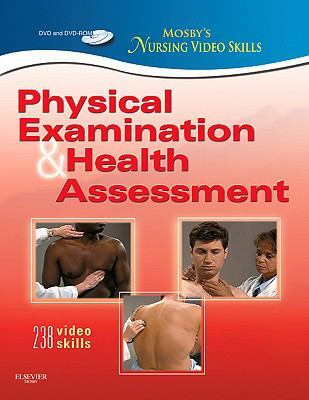 Mosby is the author of 'Mosby's Nursing Video Skills: Physical Examination and Health Assessment', published 2011 under ISBN 9780323077989 and ISBN 0323077986. Loading marketplace prices 136 copies from $35.69 How does the rental process work?